An A-ROO Company Disposable Pastry Bag in use. Disposable Pastry Bag Boxes in boxes. A-ROO Company has been providing plastic film packaging for highly perishable floral and produce items, as well as packaging for Supermarket Bakery Departments and Independent Bakeries for almost fifty years. We have over twenty-years of manufacturing experience making the very best disposable decorating pastry and piping bags available anywhere – right here in the USA. Our Disposable Pastry Bags satisfy potential FSMA requirements as they are manufactured in an AIB rated facility. We are also a proud member of the International Dairy Deli & Bakery Association (IDDBA). When we say our Disposable Pastry Bag is “Completely Indispensable” it is a reference to our extreme quality standard. First, We have found that our special blend of Medium Density Polyethylene is a stronger material that is more pliable and will not burst while dispensing. Second, Our Quality Assurance steps allow you to have the ultimate confidence that your use and experience will be unparalleled and trouble-free every single time. All steps are performed by our experienced Operators and Supervisors and related to Quality Control documentation that must withstand regular audits. Our most popular A-ROO Disposable Pastry Bags are available in three standard sizes to choose from : 12 inch (30.4 cm), 18 inch (45.7 cm) and 21 inch (53.3 cm), each coming in a very easy-to-use dispenser box. Our unique dispenser box contains 100 bags that easily dispense just one bag at a time. The inner dispenser boxes are all packed six per Master Case. Other sizes and materials are available on a custom basis. Each Inner Dispenser Box comes individually shrink wrapped to further ensure you that your A-ROO Company Disposable Pastry Bags have arrived to you in perfect, unadulterated and contaminate free condition. A-ROO Company also has the ability to custom print Disposable Pastry Bags with your company logo or company branding as well as an inline identifier such as product code, batch or trace code, etc. 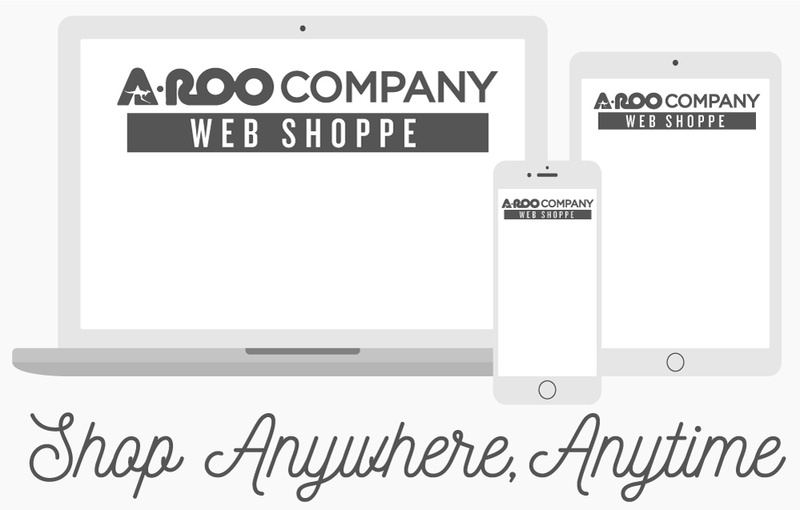 Contact an A-ROO representative for information regarding artwork creation and minimum quantity production for your customized need. Minimum order quantity of one case (6 boxes) for the three A-ROO stock standard sizes. Please consult an A-ROO Sales Professional for information on quality testing, pallet pack out and configuration, Master case pack outs and DIMs and SKUs. PASTRY BAG-ST12x100 7x12x0" 12" (30.4cm) 2.9 mil MDPE Pastry Bag - Bulk packed 100 per Dispensing Box, 6 boxes per case - Made in the USA 100/Box, 600/Case 7.5x3x3" 10x6.75x8.5"
PASTRY BAG-ST18x100 10.5x18x0" 18" (45.7cm) 2.9 mil MDPE Pastry Bag - Bulk packed 100 per Dispensing Box, 6 boxes per case - Made in the USA 100/Box, 600/Case 10.5x7.5x1.75" 15.75x6.125x11.5"
PASTRY BAG-ST21x100 11x21x0" 21" (53.3cm) 2.9 mil MDPE Pastry Bag - Bulk packed 100 per Dispensing Box, 6 boxes per case - Made in the USA 100/Box, 600/Case 10.5x6x2.5" 12.75x8.375x11.5"
Other bakery items such as cake collars, gloves, aprons, and custom dispenser boxes. In addition to our “indispensable”, disposable pastry piping and decorating cone bags we also either make or distribute PE, CPP, or BOPP bakery bags (available printed or unprinted, and with mirco-perforations or paper and plastic combinations), plastic cake layer sheet wraps/collars, plastic cake circles, plastic bun rack covers, PE gloves, aprons and special custom inner dispenser boxes. Other Packaging for Bakery is only available on a custom order basis. Please contact an A-ROO Company Sales Professional for more information.